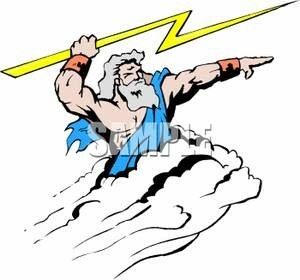 Zeus was the god of the sky and ruler of all the olympian gods. His weapon is a thunderbolt which is commonly used on those who misplease him. He could control the weather. Zeus had a closer friendship with his brothers Poseidon and Hades than his other brothers and sisters. It was also said that if you treated a guest or stranger badly you could outrage Zeus. Kronos was the king of the Titans. He was very afraid that one day, his children would kill him just like he did to his father. Because of that, he chose to eat his children when they were born. After the birth of the sixth child (Zeus), Rhea (Kronos' wife) played a trick on him. Rhea swapped baby Zeus with a rock for Kronos to swallow. She then hid Zeus in a cave. When Zeus was older he asked to become Kronos' cup-bearer. After being accepted he put a special potion in his father's wine that caused him to vomit out his children. 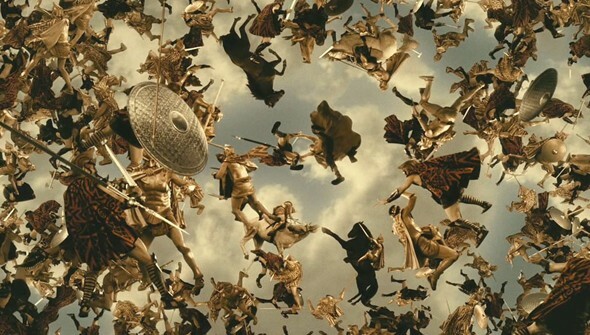 Zeus then led his brothers and sisters into battle with Kronos and the Titans. Zeus and his brothers and sisters had won the battle which granted Zeus king of the Olympians.